We all know kids can be more than just a little bit picky, and yet how many times can you throw together a PB&J without worrying they aren't missing out on some key nutrients? We understand this dilemma, and have come up with a way for you to sneak in those vitamins into a meal they will love! 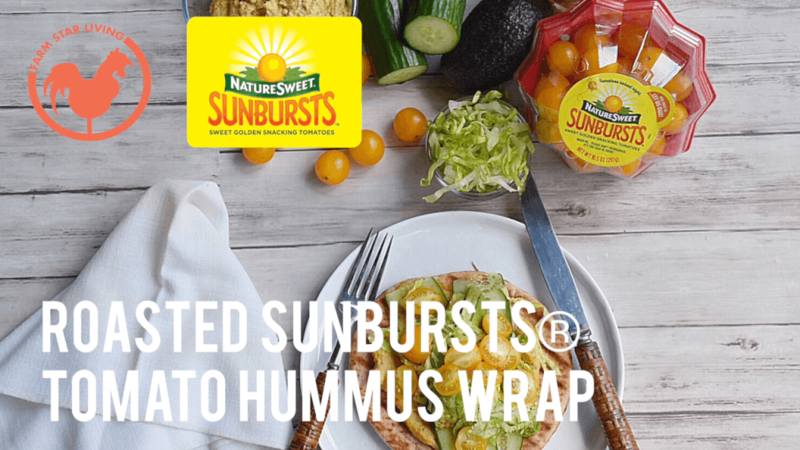 With the help of NatureSweet®, we've created the Roasted Sunbursts® Tomato Hummus wrap! 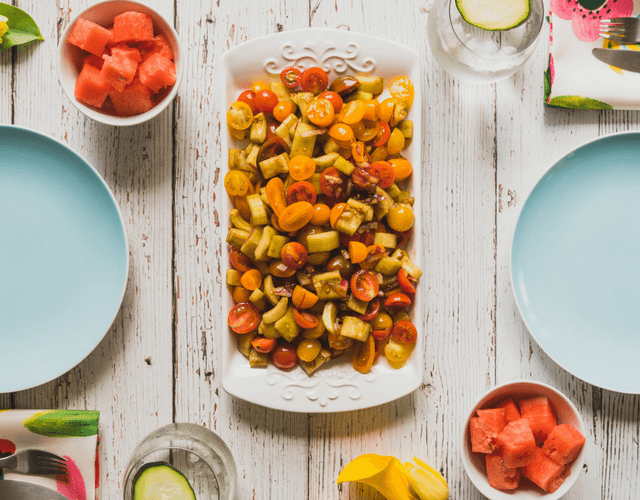 This is a healthy sandwich that is equally as colorful and delicious – sure to appeal to even the most finicky of kids. Plus, it's an easy way to pack a healthy lunchbox! There are a handful of reasons that you can feel good about eating these specific tomatoes. NatureSweet® uses coconut husks rather than soil to help the plant resist disease, providing for less use of chemicals, and this process helps reduce water usage by 80%! Each tomato is hand-picked from the vine, then tested for firmness, sweetness and freshness. Within 24 hours, they are packaged and shipped to your local store to ensure they are as deliciously nutritious and fresh as possible. 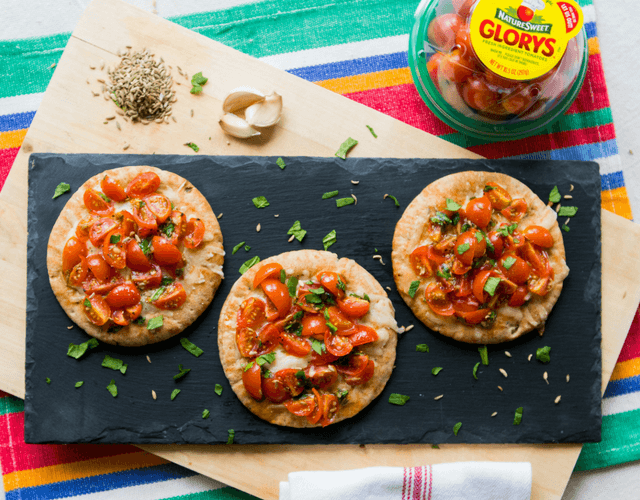 With these tomatoes, you know you are giving your kids something that tastes good, and makes them feel good as well. The hummus is a fun recipe to make together as a family on Sunday evening before your busy week starts. Once the hummus is made, wrap your wrap together, and you all are done! The healthy week awaits. 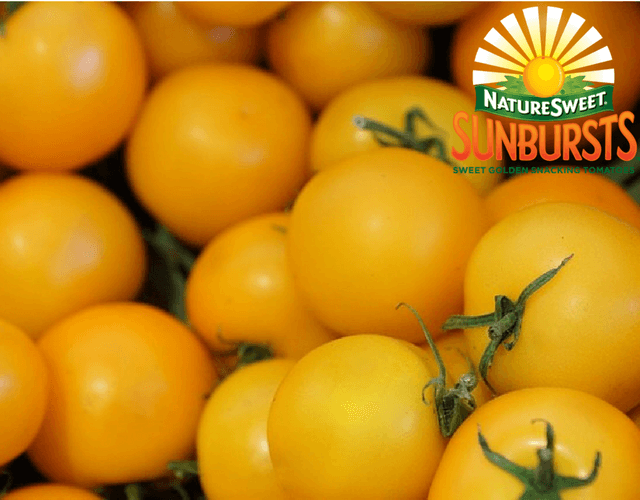 Check out some of the amazing health benefits of these gorgeous NatureSweet® SunBursts® tomatoes! 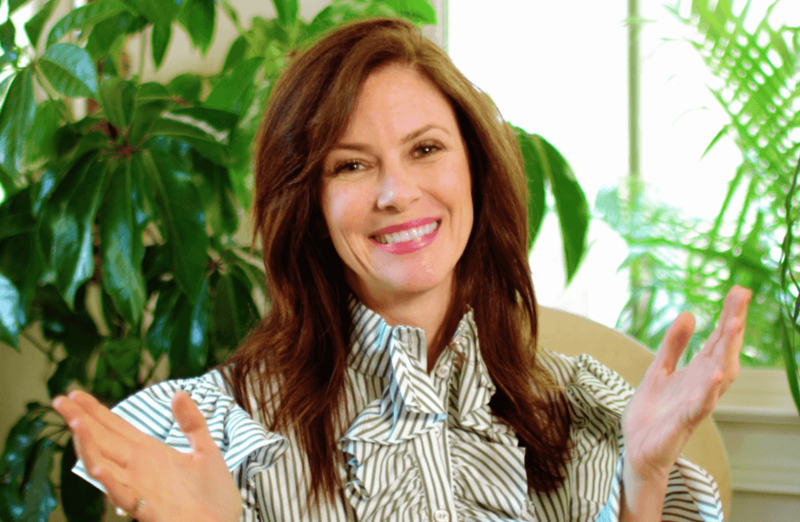 Farm Star Mary's Minutes: Why Greenhouse Growing is Great!